We've known for quite some time that Shadow of the Tomb Raider would have some sort of online cooperative mode, but now we're just starting to uncover the details of what it entails. The first thing to remember is the two player online co-op mode is only available as DLC, whether that's purchased on an individual basis for $4.99 or in the season pass for $24.99. The first piece of content dropping is called The Forge and it's set to release in early November on Xbox One, PS4, and PC. The folks over at Tom's got a chance to play the content hands on, and it gives us a pretty good idea of just how the co-op is going to work. Since coordination is key to success, each player has the ability to ping points of interest of the level if you’re not on voice chat. You can even go as far as pinging specific switches and levers to push in a set order. This is especially helpful when in areas where the two players are split. My partner was able to highlight a timed door for me to run through once he pulled a switch and I only had moments to get through if I wanted that sweet, sweet treasure. The reward itself in this case was a Grenadier Skill, Brocken outfit and crazy powerful Umbrage 3-80. It also sounds like co-op allows access to areas you can't get to in single player and all the loot found in co-op is somehow tied to the main game for both players. 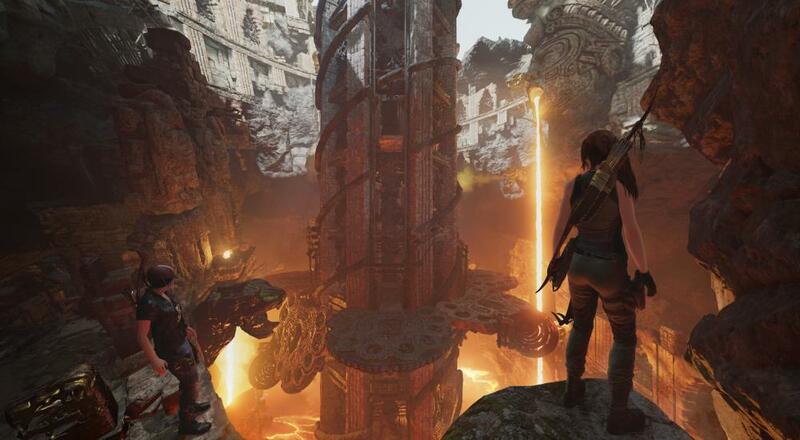 This continues the trend of "Tomb Raider" games with co-op since the excellent Lara Croft and the Guardian of Light released several year ago. Let's hope it can keep up the pedigree. Page created in 1.1047 seconds.